Want to stay alerted from Content Scrappers? Want to advertise on your website whenever their trace goes from your website? This is an excellent idea to put links of your blog or website when someone tries to copy information. Links will be automatically pasted at the end of copied text string through blogger templates. Maybe they will delete these links after a look, but surely you will have some output from this. This will ensure no one blindly copy things, especially recent bloggers or the people who are looking for information easily and just trying to put it on their pages. 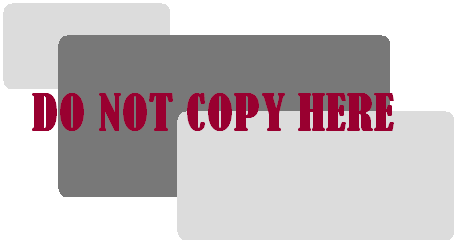 This Article will guide you to put copyrighted text message just after copied text with your blog link. Expand All Widgets OR in recent templates you will have to manually expand arrows at left side. Paste below a line of codes just above it. Save your template and see a preview. Change highlighted text to suit your Authorization.